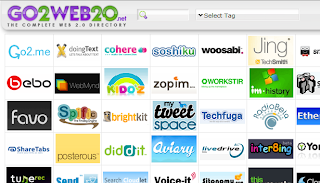 This morning, Go2.me was "discovered" by Web 2.0 directory Go2Web20.net. As a result, there was a burst of activity, especially in Europe, of people visiting Go2.me and writing blog posts about it (in French and Italian). It's been a pleasant surprise to see a bunch of new faces trying the service out, and twittering about Go2.me.